So you did all of your research and went out and bought some great superfoods, like flax meal, goji berries, and raw cacao. Now, what are you supposed to do with all of these superfoods? It is hard enough to remember to bring baggies of berries to snack on, and even more difficult if you have to figure out ways of getting your kids to eat weird-looking roots and fungi. Here are easy ways you can get more superfoods into your meals without even noticing them. Start your day off right by getting an extra dose of nutrients from superfoods. If you eat dry cereal with milk, you can top it off with your own blend of nuts and berries. I always add a sip of flax oil to my cereal to get more omegas. It doesn’t really mix well with milk (yogurt is better) but you get used to the oil floating around in your bowel. When making oatmeal for breakfast, add some fresh seasonal fruit, nuts, flax oil, and spices like cinnamon and cardamom. Tip: Remember to mix up which nuts you use in your breakfast cereal. Nuts have varying nutritional profiles and eating a variety throughout the week can help ensure you get enough magnesium, iron, calcium, zinc, potassium, copper, vitamin E, and B vitamins. 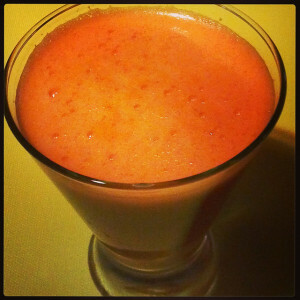 Fresh juices are already very healthy, so most people just leave it at that. But why not take the opportunity to get an extra nutritional kick out of your juices, and add some flavor in the process. Try adding superfood spices to your juices. Turmeric works well with many juice combinations and does wonders for your circulation (a great way to wake up in the morning). Apple-based juices taste great with cinnamon, and cayenne and ginger are great ways to warm you up in the colder months. If you aren’t drinking green smoothies or juices, then you should probably try to eat a big salad made with fresh greens every day. While you are at it, you can add superfoods to your salad dressing. 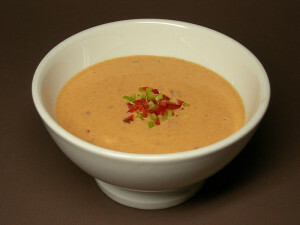 Oil-based superfoods like flax oil can be added directly into the dressing. Or you can make your salad out of superfoods, like creamy avocado dressings or tahini-lemon dressings. 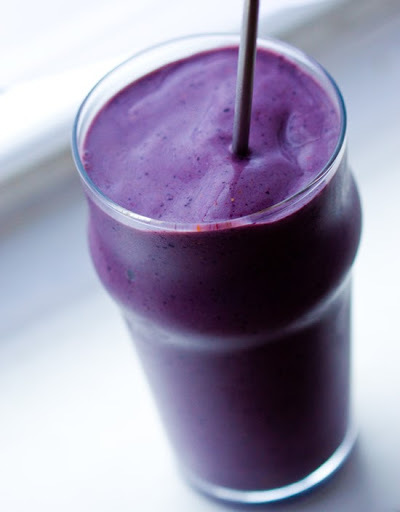 A smoothie is a great pick-me-up. I like to drink mine a couple hours after lunch when my energy levels are going down. I don’t use recipes for my smoothies – just basically throw whatever leftover fruits and veggies I have around. But that does mean I need to make sure I always have a variety of fruits and veggies on hand. One thing I always try to do is add a protein to my smoothie. This makes the smoothie much more filling. Protein also slows the conversion of carbs to glucose, so you don’t get a sugar rush from the smoothie. If you drink smoothies a lot, consider buying a superfood powder mix (or make your own mix) so you can easily add a scoop to each smoothie you make. 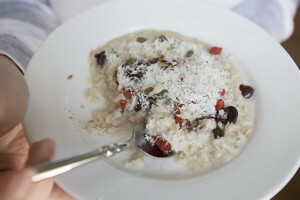 Optional: Top with shredded raw coconut, cacao nibs, and superfood berries like goji and eat with a spoon as a dessert! In this same way, you can get creative when making your own superfood bread. In the cold months, a bread made from dried-mushroom powder and greens is particularly good. If you want to incorporate more superfoods into your meals, the most important thing to remember is that you’ve got to have them on hand. If you have to dig through your pantry just to find that cacao powder, or fumble with zip-loc bags to get at your hemp seeds, then you probably won’t use them. Make a superfoods spice rack so you can easily shake in a dose of superfoods whenever you are preparing foods. Or, if you don’t want to get a fancy spicy rack, just save all your used food jars and fill them with superfoods. Keep them within arm’s length in the kitchen.